Fifteen years ago, African heads of state meeting in Mozambique made what was then billed as one of the most iconic declarations to help the continent put a stop the eclectic hunger by halting the food insecurity cycle. Dubbed the “Maputo Declaration on Agriculture and Food Security in Africa”, the document contained several life changing resolutions; prominent among them was the “commitment to the allocation of at least 10 percent of national budgetary resources to agriculture and rural development policy implementation within five years.” Fast forward to 2018, only a fraction of African nations have actually met that resolve. Commitment to the sector by the governments has been waning, even as they face some of the greatest threats in history, including changing weather patterns, pests and diseases that are wiping harvests in record time. 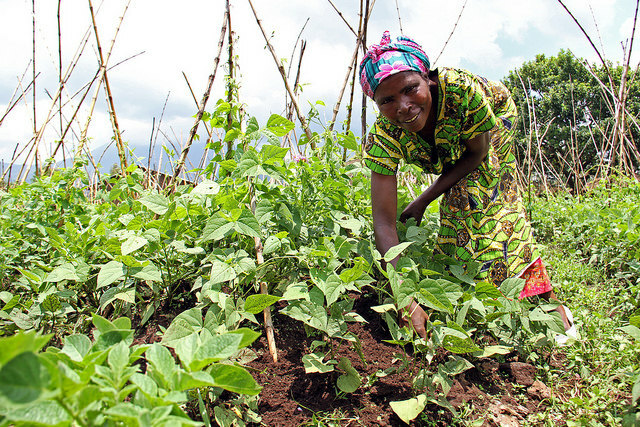 According to research by the Food and Agriculture Organization (FAO), up to three quarter of farmers in Africa have reported being stuck to age old farming practices while relying on seeds from the previous harvests for subsequent planting. Some of the seeds used date back to the 1930s. While at the same time, a majority of these countries are playing host to globally recognised research institutions that produce groundbreaking innovations, including stress tolerant crop varieties, pest control arsenals and technologies that are said to transform lands and farmer earnings. The disconnection between transformative innovations and farmers‘ access to these tools, alongside a lack of proper information channels has set back thousands of farmers, especially affecting small scale crop producers. The farmers have expressed insatiable appetite for this information, aware that they need it in order to change their way of farming if they are to boost productivity. Although almost all signatories to the Maputo declaration have missed the mark on meeting the outlined commitments, it cannot be overlooked that Africa continues to invest in homemade solutions to food insecurity. This is exemplified by the unprecedented number of agriculture related innovations that are transforming barren land to bumper harvests. The younger generation have taken over this renaissance, dubbed „telephone farming“. Indeed such resolve cannot be left to government alone. Public private partnership is a key panacea in pulling Africa out of the hunger burden and ensuring the continent achieves sustainable development goal one, of ending poverty, and two, of zero hunger by 2030. America’s handling of the caravan will not only determine its fate but also attest to the nation’s character and indicate the moral direction. Amnesty bolsters Kaepernick’s call for racial equality, and shows his momentum is not over yet – but his movement now stands at a critical crossroad.